One of my favourite bird species to watch are Woodpeckers. I am lucky in that I have two species of Woodpecker that regularly visit my garden including both Great Spotted and Green and these are always good to see either on the nut feeders or searching for bugs on the lawn. There are ten species of European woodpecker and I have yet to see them all, but one of my photographic targets is to see and photograph them all. Hopefully this will be achieved and more images will be posted on this website. 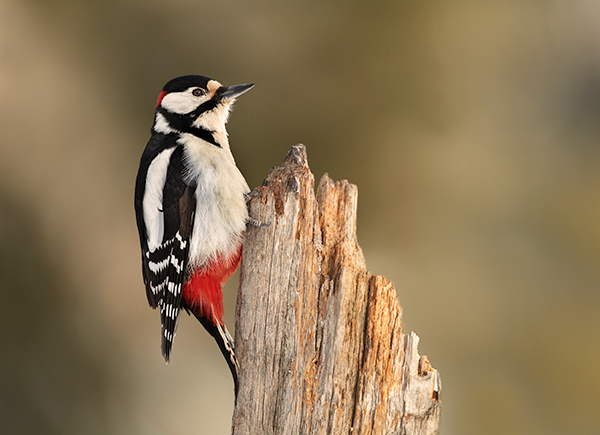 The Great Spotted Woodpecker image below was one of my 15 images that formed part of my ARPS panel with the Royal Photographic Society in 2014. The image is of a male male and was taken in Finland.